Please find outlined below our general terms and conditions, which are to be read in conjunction with the Mandate and Rental Agreement. We aim to make this process as simple as possible but for legal reasons please review our terms and conditions so that you are 100% comfortable. By submitting an application to Compass you acknowledge you have read and accept our terms and conditions. 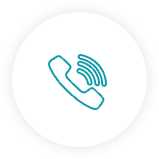 By speaking with us on the phone you agree for us to share your information with the other party and also the insurance companies with whom they are insured to ensure no claims are fraudulent. All our calls are recorded so that we can rely on them in future if required. If you do not wish us to do this then please advise immediately. You pay no security or upfront costs, though we do require credit card details to which we can charge any tolls \ fines \ excesses \ costs that may be applicable under the contract. Under the terms of our agreement you are contractually liable for the costs of the replacement vehicle, which Compass will seek to recover from the at-fault insurance company on your behalf. To allow us to do so, you must co-operate with Compass if asked to do so. Please note you must be a minimum of 18 (21 on some vehicles, 25 on all prestige vehicles) years of age to rent a vehicle from us. If younger than this is there someone else who can rent it? Some of our prestige vehicles carry a minimum age requirement of 30. Please ask your representative for more information. If you meet the age criteria then as long as you hold a valid drivers licence (in English) then you can drive our vehicles PROVIDING you have signed the rental agreement. If an additional driver wishes to drive the vehicle then they must contact our branch to arrange for this paperwork to be signed. If the additional driver doesn’t sign this then they are not insured. If your vehicle is deemed a total loss you must inform us immediately upon receiving an offer from the insurance company whether you wish to reject the offer or accept. Failure to do so may deem you liable for any days we cannot claim. Once we speak to you we will provide you a definitive time frame of how long you can stay in our vehicle for. It is on a case by case basis so make sure to stay in touch with us. Generally you can have the rental vehicle for the length of time the estimate says it will take for the car to be repaired. If the repairs go over this time then we are only able to extend this time if your repairer provides us reasons as to why it has taken longer. We may need your help in getting this information. What Kind of Vehicle will I receive? We try and place you back in a vehicle similar to the one you have come out of. This depends on certain circumstances including availability of our vehicles and the age of your vehicle. Prestige vehicles over 8 years old are not eligible for a replacement prestige vehicle, but something from our standard range. At all times Compass reserves the right to choose the right vehicle suitable for your requirements. If you are having further repairs on your vehicle then please let us know immediately. We can only legally recover for the repairs that were a result of the accident. If we find this out at a later date we will have to charge you for extra days. If you are not happy with the rental vehicle being provided, you do have the right to look at other companies as well. However, they may charge you up front for the rental and may take a bond as security. It may also not be a suitable vehicle for your requirements. If your vehicle is registered for business then we will have to charge you the GST portion of the hire at the end. You can then recoup this on your BAS statement. Please provide your ABN in the space on the Mandate & Authority to Act. Different insurance companies require us to produce documents to ensure we can recover the money on your behalf. On occasion we may not have these documents before you go into a vehicle. If this is the case and you do not provide them before we invoice the insurance company then you are liable for the cost of the hire. At all times we attempt to confirm liability with the other party, or their insurer. However, given that disputes do sometimes occur we do rely heavily on your version of the accident. If you have witnesses that is even better. If at a later stage we find that you did not tell us the whole story or misled us then we are entitled to charge you under the terms of the Mandate & Authority to Act (which you should read carefully before signing). Please note if you are found to have a fraudulent claim and we become aware of this then we will charge you immediately for the claim. In most cases insurance companies co-operate with us and we will have no problem with the payment of your rental bill. However, certain insurance companies want to make life as difficult as possible for you and us in the hope that it will deter you from using us. Accordingly, to allow us to recover your costs, you must co-operate with Compass if asked to do so as set out in the Mandate. On some occasion, this may include us issuing legal proceedings in your name against the at-fault party and you needing to provide evidence in support of your need for a hire car and how long you had it for. If an insurance company does start talking to you about what we may and may not do then please do contact us or speak to the company that referred you so that we can allay any concerns you may have. How will I know when the insurance company has paid my hire? We will send you an email advising you that the other side has paid the hire and that no liabilities are outstanding. This could take anything from 2 weeks after the end of your hire to 2 years. At any stage if you have not heard from us and would like an update please feel free to get in touch with us. We have a thorough complaints procedure and we ask that if you have a complaint put it in writing within 24 hours to customerservice@compasscorp.com.au. One of our customer service team members will respond within 5 working days. Signing a Release: Occasionally insurance companies, or the other party will make you sign a release for the cost of your repairs. Under no circumstances are you to do this. Please liaise with Compass immediately. By receiving the signed mandate and authority to act you acknowledge our terms and conditions and accept them unreservedly. We aim to make this process as simple as possible but for legal reasons please review our terms and conditions so that you are 100% comfortable. At any stage if you wish to discuss further we are happy to oblige on 1300 135 485. The terms and conditions above are to be read in conjunction with the Mandate and Authority to Act. A. You have been deprived of the use of Your vehicle as a result of an accident which has been caused by the negligence of a third party. B. You wish to hire a replacement vehicle and We have agreed to hire to You a replacement vehicle (the ‘Hire Vehicle’) on the terms set out in a Rental Agreement (referred to as ‘the RA’). This Mandate forms part of the RA. You have requested, and We have agreed to hire to You, the Hire Vehicle described in the RA upon the terms set out in the RA/Mandate, because Your own vehicle is unroadworthy or, in need of repair due to a road traffic accident (‘the Accident’) which You assert was the fault of a third party (referred to as ‘the Third Party’). We will be entitled to payment for the applicable hire charge and related charges agreed in the RA, the total of which will be set out in the hire invoice issued when the hire vehicle is returned to us (‘the Hire Charges’). You and We acknowledge that, as at the date of this hire the hire charge is unknown because the period of the loss of use of your car is yet to be determined. The hire period will be from the start date set out in the RA to the date the hire vehicle is returned to us (‘the Hire Period’). An invoice for the cost of the hire will be issued after the vehicle is returned. You will be advised of the daily rental charge for the vehicle at the outset. If your vehicle is business registered you must in any event pay us the GST amount on the hire car charges invoice. You authorise payment by any credit/debit card the details of which you have provided to us. We will use our best endeavours, as your recovery agent, to recover the Hire Charges from the negligent Third Party or their insurer (the ‘TPI’). In order to allow Us to recover the Hire Costs from the Third Party or the TPI (as applicable), You appoint Us as Your agent and representative with the authority to recover the Hire Charges from the Third Party or the TPI that We reasonably consider are likely to be recoverable from the Third Party or the TPI. This appointment includes authority to recover the Hire Charges by legal proceedings if necessary which will be issued in your name as plaintiff/applicant (referred to as ‘Your Claim’). You acknowledge that We may appoint and give instructions to legal advisers on Your behalf in respect of Your Claim. Should we decide to instruct Legal advisers to recover the Hire Charges You agree to assist, and provide Us or the appointed legal advisors (as applicable) with all co-operation reasonably required in connection with Your Claim, which may include You providing statements and documents and appearing in court as a witness. We will meet Your reasonable out-of-pocket expenses in complying with this clause. (c) You purport to release, by signing a form of release or otherwise, the Third Party or the TPI from any responsibility in respect of the Accident. If this Mandate is terminated you must pay us the hire car charges. You must promptly notify Us if You become aware of, or receive, any information that indicates that any insurance company has decided that Your vehicle is a ‘total loss’ or ‘write-off’. (d) share Your personal details with third parties, strictly on a need-to-know basis, solely in connection with Your Claim. Unless you advise us otherwise we may use such information for surveys and the provision of follow up services relating to your accident. (a) You are the owner of a vehicle that was damaged in an Accident in which You were not at fault. (c) You expect to be reimbursed by the Third Party or the TPI for the damage suffered by Your vehicle. YOU HAVE READ AND UNDERSTOOD THIS MANDATE AND THE RA AND AGREE TO BE BOUND BY THE TERMS OF THE RA INCLUDING THIS MANDATE.